Basketball fans will recognize the names and voices behind reVolver Podcasts’ Basketball Legends with AC and JC. Join Cleveland Cavalier legends, Austin Carr and Jim Chones, as they travel across the country and sit down with some of basketball’s most recognizable personalities and icons to share stories – sometimes heartwarming, often irreverent, and always entertaining – about everything from the NBA’s glory days to today’s game. Austin and Jim, who work as analysts on the Cavs’ broadcasts, are joined by veteran play-by-play announcers, John Michael and Rafa Hernandez-Brito, who also serve as producers of the podcast. The first episode of Basketball Legends with AC and JC features Quinn Buckner, former NBA player and coach, as well as one of only seven players in history to win an NCAA Championship, an NBA Championship and an Olympic Gold Medal. Find and follow the show on social media: Instagram and Twitter @bkblegends. 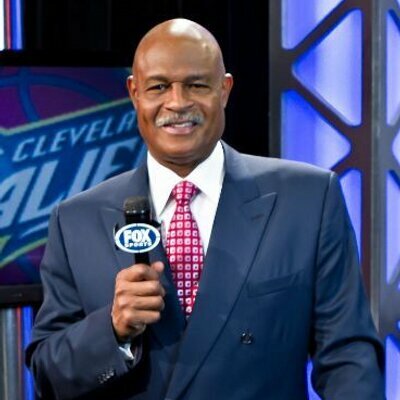 Find and follow the show’s cast on Twitter: Austin Carr @mrcavalier34; Jim Chones @chones22; John Michael @cavsjmike; Rafa Hernandez-Brito is on Twitter and Instagram@elalcalderafa. Tune in and subscribe for free to Basketball Legends with AC and JC. Find your favorite reVolver Podcast at reVolverPodcasts.com, Apple Podcasts, Spotify, Google Play and iHeartMedia. To listen on Apple Podcasts, visit https://itunes.apple.com/us/artist/revolver-podcasts/id1086192367. Sales or marketing inquiries can be directed to reVolver Podcasts at jack@revolverpodcasts.com. For questions about content or to find out how to become a content provider and host, email Maria@revolverpodcasts.com.